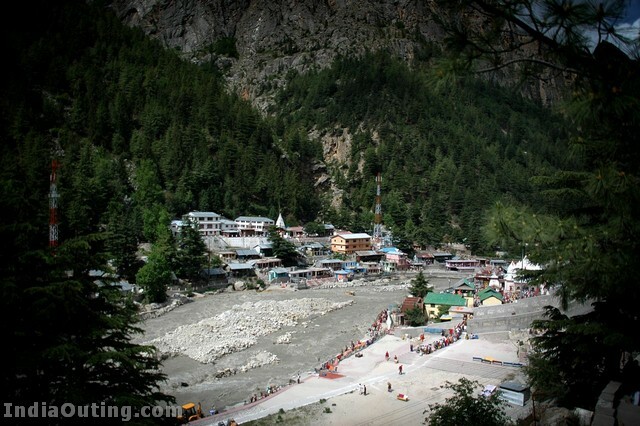 Gangotri (Hindi: गंगोत्री) is a town and a Nagar Panchayat in Uttarkashi district in the state of Uttarakhand, India. 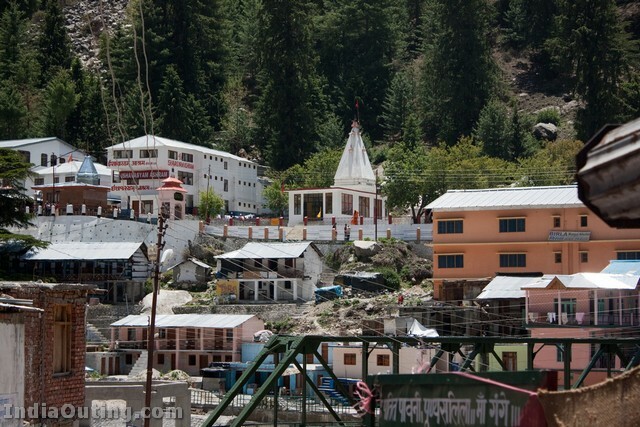 It is a Hindu pilgrim town on the banks of the river Bhagirathi. 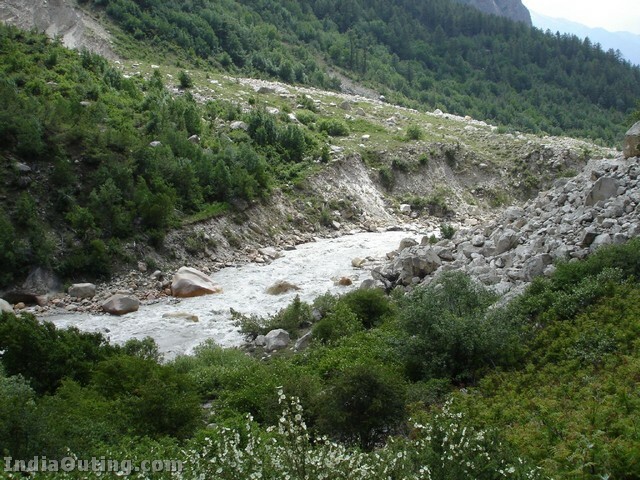 It is on the Greater Himalayan Range, at a height of 3,042 m. The picturesque pilgrimage in the hinterlands of the Himalayas is the most sacred spot where Ganga , the stream of life, touched earth for the first time.According to mythology, Goddess Ganga – the daughter of heaven, manifested herself in the form of a river to absolve the sins of King Bhagirath’s predecessors, following his severe penance of several centuries. Lord Shiva received her into his matted locks to minimise the immense impact of her fall. 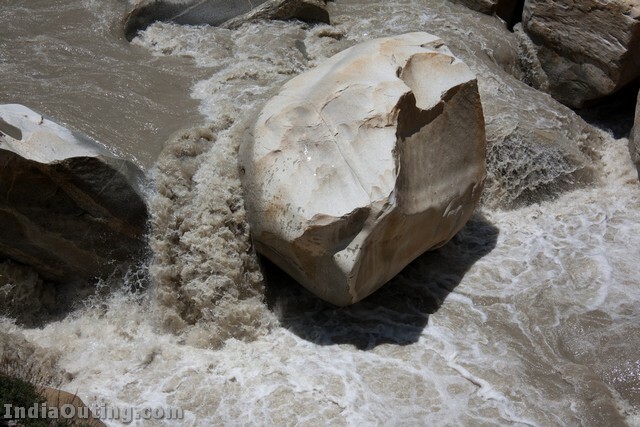 She came to be called Bhagirathi at her legendary source. According to Hindu mythology, Goddess Ganga – the daughter of heaven, took the form of a river to absolve the sins of King Bhagirath’s predecessors, following his severe penance of several centuries. Lord Shiva received Ganga into his matted locks to minimize the impact of her fall. According to this legend, King Sagar, after slaying the demons on earth decided to stage in Ashwamegh Yagya as a proclamation of his supremacy. The horse which was to be taken on an uninterrupted journey around the earth was to be accompanied by the King’s 60,000 sons born to Queen Sumati and one son Asmanjas born of the second queen Kesani. Indra, supreme ruler of the gods feared that he might be deprived of his celestial throne if the ‘Yagya’ (worship with fire) succeeded and then took away the horse and tied it to the ashram of Sage Kapil, who was then in deep meditation. The sons of the King Sagar searched for the horse and finally found it tied near the meditating sage. Sixty thousand angry sons of King Sagar stormed the ashram of sage Kapil. When he opened his eyes, 60,000 sons had perished by the curse of sage Kapil. Bhagirath, grand son of King Sagar, is believed to have meditated to bring down the Ganga to cleanse the ashes of his ancestors and liberate their souls, granting them salvation or Moksha. 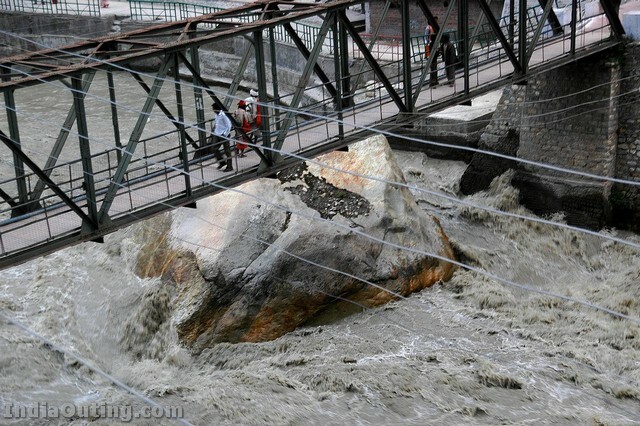 The Bhagirathi ‘Shila’ is located near the temple of Ganga where the holy Ganga first descended on earth from heaven. Airport : Jolly Grant, Dehradun 226 km. 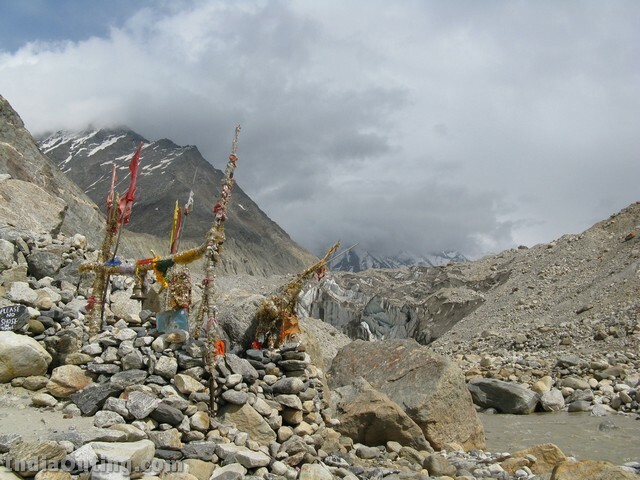 Nandavan Tapon (24 km )- An arduous trek along the left bank of the Gangotri Glacier leads to scenic Nandanvan – the base camp for the Bhagirathi peaks, that offers a panoramic view of the surrounding Shivling peak. 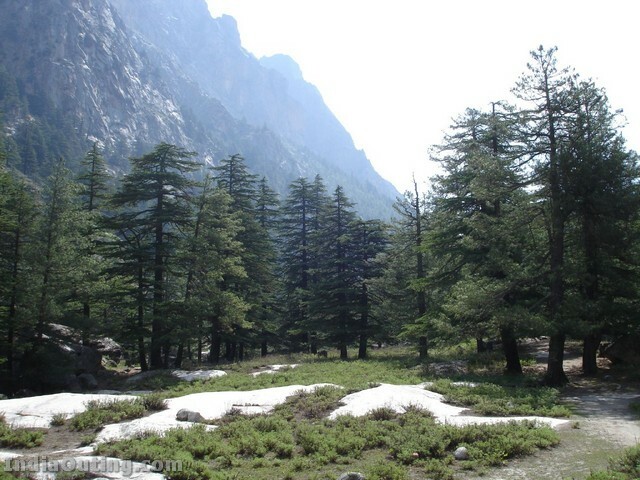 A trek across the snout of the Gangotri Glacier across the right bank leads to Tapovan known for its beautiful meadows that encircle the base of the Shivling peak. 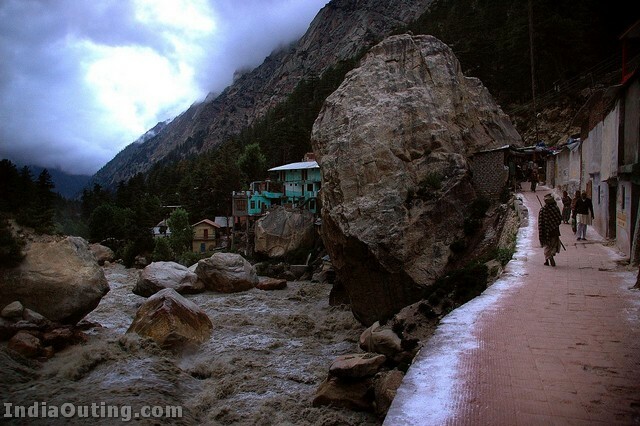 There is also a route from Tapovan across the Gangotri glacier to Nandanvan. From Nandanvan, one can trek further along the Kalindi Khal to Badrinath, which is a extremely difficult trek and has to be done with sufficient preparation. 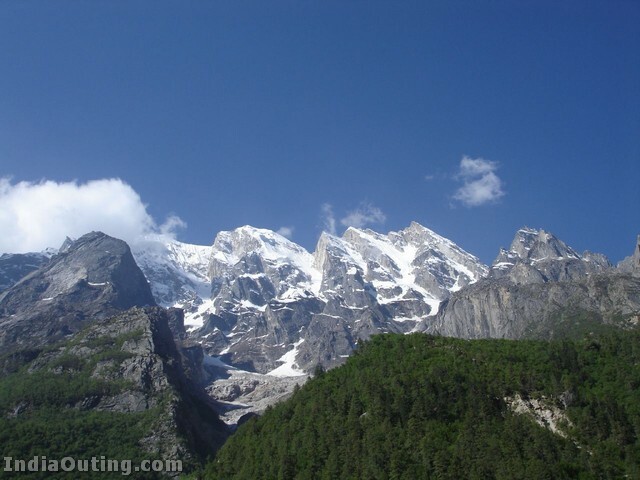 Gaumukh ( 18 km)- The snout of the Gangotri Glacier and the source of the Bhagirathi river. 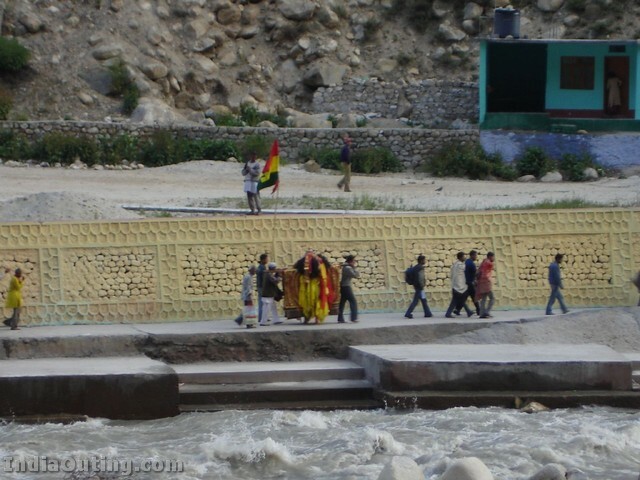 Pilgrims trek upto the sacred spot on foot or on ponies to take a holy dip in the ice-cold water. No Alcohol permitted here. Instead, drink plenty of natural mineral water full of medicinal values. Excellent collections. Should visit these places. Thanks for showing the natural beayty. 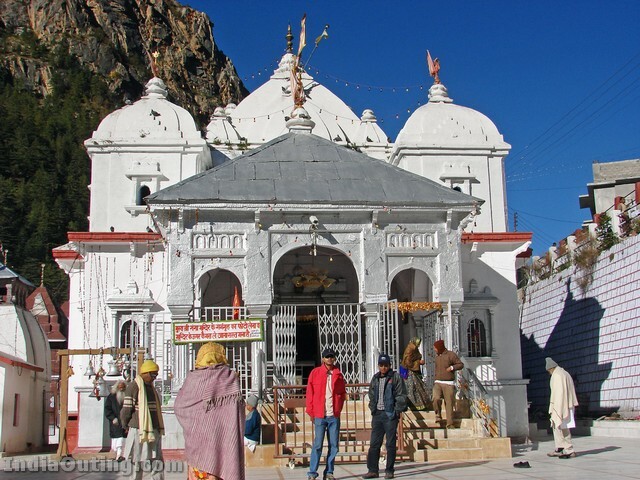 gangotri char dham ki yatra darsan kari dhany tha e gaya. I have a deep belief in Hindu mythology and even tried to reach Gangotri in March 2006 but had to retrun when the snow was too thick. We were 6 kms from Gangotri. I wish to make another trip one day during my lifetime. I feel every Hindu worth his salt should visit the CHAR DHAM. Such speectacular views and a dip in Dev Prayag is woth the effort. nee en vuyir dee. when shall we go? this should b the place of our final rest. A place worth visiting – in fact, a “must visit” for every Hindu (and, Jain and Buddhist as well). The great Faiths of the East are based on the myths and teachings that arise in these lovely wildernesses. I had been to Gomukh in 1988, it is very beautiful and one must visit this place. Moreover you can feel ‘Hinduism’ in the air. every indian must visit the holly place.nice pictures and collection. congresss………thanks……..
Beautifull and holy climate,any short tempered person cool down here.Your thinking will be changed automatically,and you must start bealiving God and feel 100% God’s presence.”Gangotri” is great! It was beautiful to see one of the “char dhams”.The pictures are really amazing. Lucky are those who really visit the sacred place.Thanks for informatio. Oh! the snaps are beautiful and pleasing. Just felt a relief after viewing snaps. Don’t know, whether i worship god or not i worship the beauty of nature. Thanks and bring more. I had been to Gangotri in the Ramkatha of Shri Morarri Bapu,Gujrath, for five days stay there, During that time i stayed with the Mandir,s pujari Residence, I had been to Gangadwar,/Gomukh about 18 km from gangotri. The holy place with big blue glaciours. We must see our India”s beauty ,the culture , hospitality,honesty of the people. Ya really wonderful collection of pics if i got a chance to visit this pilgrimage place then without delay…………. acchi janakari mili ,photo bhi bahoot khoobsurat he. Ganga maiya really thanks for giving us your blessings.Always stay with us in our heart in our mind.I just pray to you pls. call me for once at your dham. Very beautiful place of india..will must go at there with my family.. I have a deep belief in Hindu mythology and even tried to reach Gangotri himalyian vallies in april 2010 but had to retrun when the snow was too thick. We were 6 kms from Gangotri. I wish to make another trip one day during my lifetime. I feel every Hindu worth his salt should visit the CHAR DHAM. Such speectacular views and a dip in Dev Prayag is worth the effort. 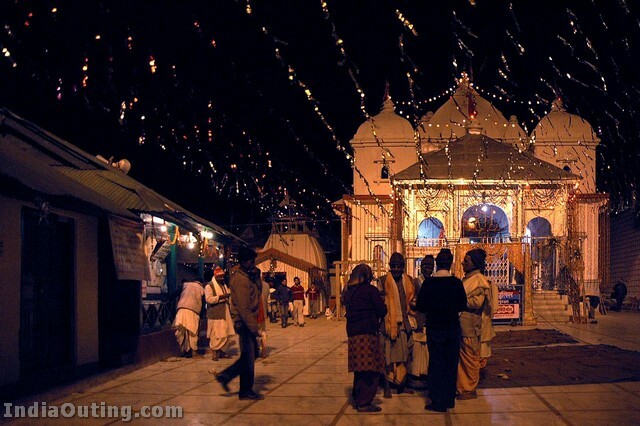 Even All cast people should go and visit Char Dham, its very cheap and very easy. It is beautiful places to see at home, in my life i must see one time. 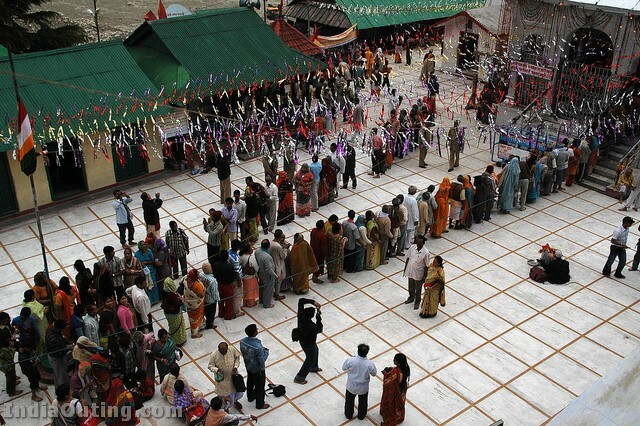 Dekhkar Bahut Achcha laga, ummeed hai jaldi darshan honge Gangotri or rameshwaram Ke…….. 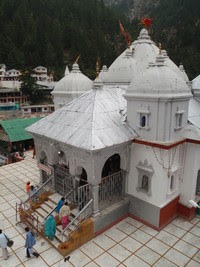 I have visited Gangotri, Very very Beautiful pilgrimage place for Hindus. The natural beauty is on the way to Gangotri. One must visit once in his life span.